I have been in this house for about 5 years. I am in the middle of a master bathroom remodel. 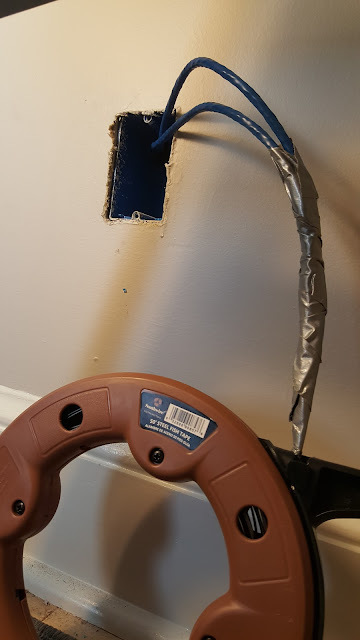 I decided to take advantage f the exposed wall in the bathroom to add cable and Ethernet connections in the wall behind our flat panel. 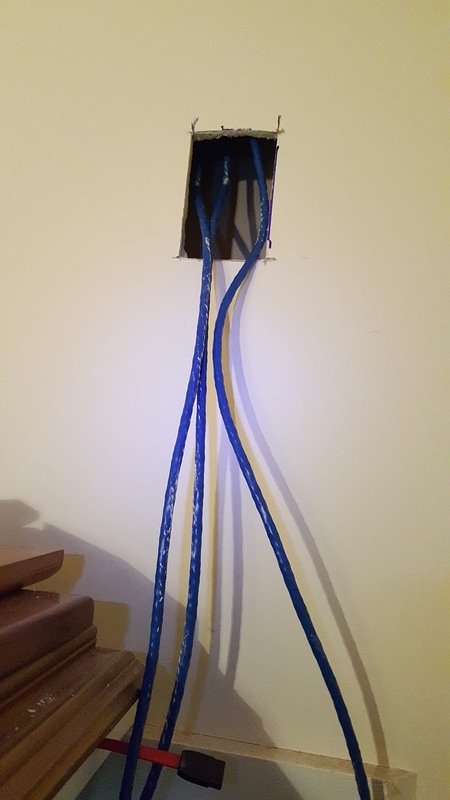 I also decided to pull the old phone lines out in one of my bedrooms which is my office and install Ethernet there. I am now happily working on my CentOS 7 server, desktop machine. I have been running this server, Zaramyth.com, for a few months now. 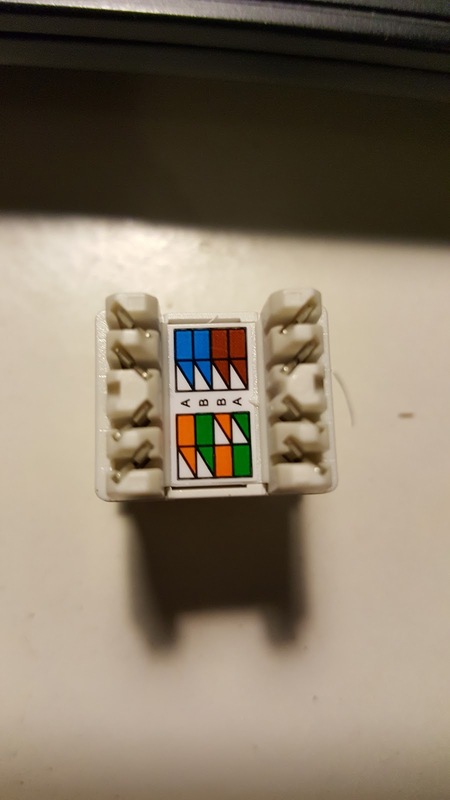 I had it running in my front bedroom with a long Ethernet cable on the floor connected to my network. The cable modem is in my front bedroom. now I can work in the office on this old desktop computer with a wall mounted hard line. I had some issues understanding the wiring diagram on my LeGrand Keystone jacks. I purchased a cheap cable tester and resolved the issues once I wrapped by brain around how I had the wires crossed. Now that I have an easily accessible Linux desktop in my office, I will start to get back into using it daily for desktop stuff in addition to the web server stuff. I will post more pictures of the finished face plates. for now I am done for the weekend. 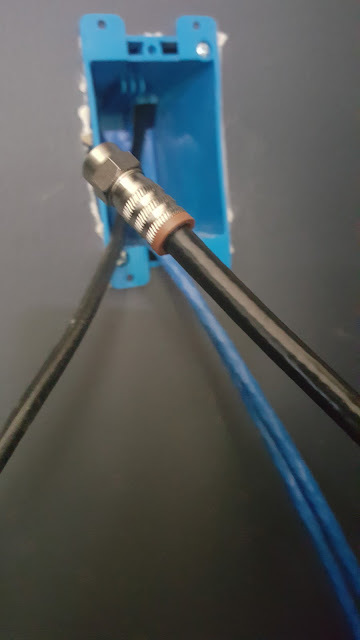 Glad the two cables in my office work. 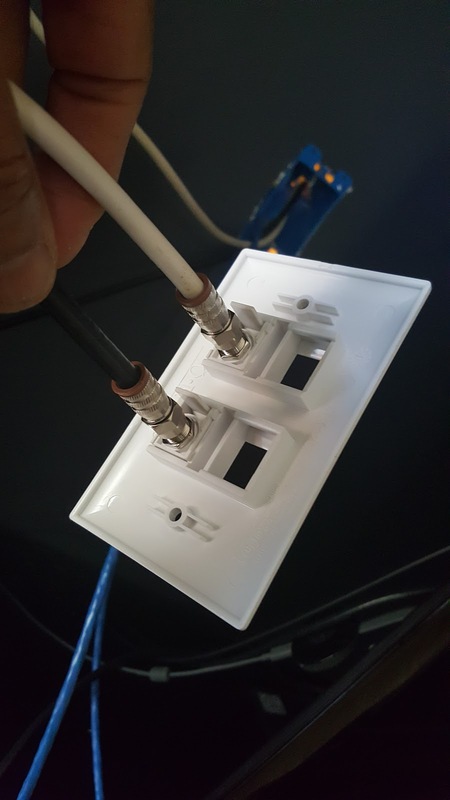 the coaxial cables work in the living room. My wife +Sylvia Wormley is happily watching the 88th Oscar Awards using our digital antenna. I can now order a new one now that I have the coaxial cable connected back to the TV. The cable was cut before Christmas 2015 when we had the hardwood floors installed. 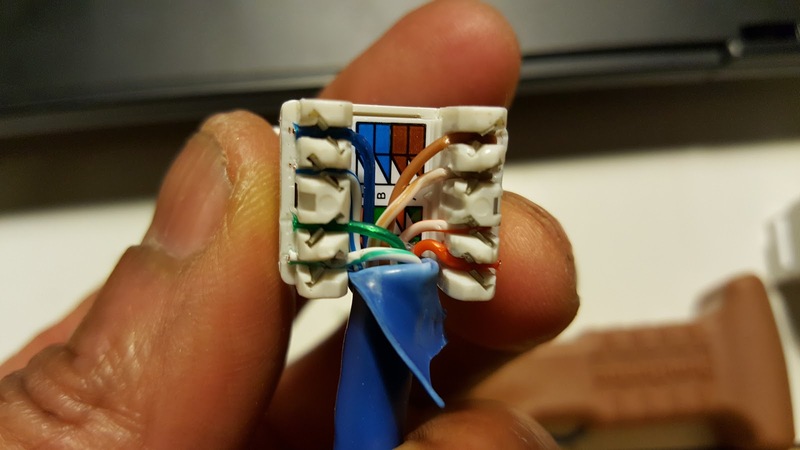 The cable was coming up through the floor that had carpet.